If we look back into the past and focus on the movie Finding Nemo, we will notice that Dory is the most remembered character there was, even more remembered than the father-and-son main characters, Marlin and the titular Nemo. She was fun and her memory problem is a laughing stock for all viewers... that if you examine closely is actually a tragic fate. But it did save them from a lot of scrapes and dangers that we shrug it off since it is helpful. And because of that we will see a spin-off, focusing more about this memory-deprived character. Finding Dory, which landed with a new teaser poster, features the voices of Ellen DeGeneres, Albert Brooks, Hayden Rolence, Diane Keaton, Eugene Levy, Ty Burrell, Kaitlin Olson, Ed O'Neill, Willem Dafoe, Vicki Lewis, Idris Elba, and Dominic West. The movie is directed by Andrew Stanton. Watch the new trailer for Finding Dory. 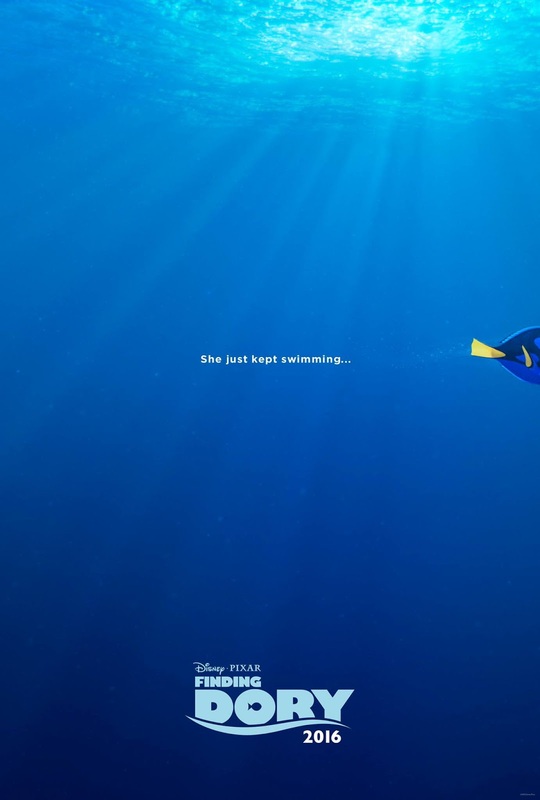 Check out the teaser poster of Finding Dory, featuring a familiar quote from the original movie, Finding Nemo. Dory Drives in — Ellen DeGeneres, the voice of everyone’s favorite forgetful blue tang, took a dip with D23 EXPO attendees this afternoon, celebrating Disney·Pixar’s upcoming film Finding Dory. Joining DeGeneres on stage this afternoon were Ed O’Neill, who lends his voice to Hank, a cantankerous octopus; Ty Burrell, the voice of Bailey, a misguided beluga whale; and Kaitlin Olson, who voices Destiny, a kind-hearted whale shark. Oscar®-winning director Andrew Stanton, co-director Angus MacLane and producer Lindsey Collins offered new details of the all-new story, which reunites Dory with friends Nemo and Marlin on a search for answers about her past. What can she remember? Who are her parents? And where did she learn to speak Whale? Also featuring the voices of Albert Brooks, Diane Keaton and Eugene Levy, Disney Pixar’s Finding Dory swims into theaters June 17, 2016. Finding Dory flounders around the cinemas on June 17, 2016.